Baby-led weaning has never been more popular, yet, as a new parent, you wonder if self-feeding over spoon-fed weaning is the best choice for you and your baby. Now, trusted feeding expert Annabel Karmel has come to the table with her brand new Baby-Led Weaning Recipe Book. Barnes & Noble, NOOK, Books-a-Million, Indie Bound, Kindle, iBooks, Kobo, Google. Why choose Annabel’s baby-led weaning cookbook? Championing a flexible approach to feeding, this recipe-filled practical guide is designed for those wanting to explore baby-led weaning exclusively, and families looking to introduce baby-led weaning alongside nutrient-rich purees. No ‘one-size-fits-all’ when it comes to weaning and Annabel’s collection of 120 family-friendly recipes paired with simple tips and advice equips you with the power to choose what’s best for your baby. The most important aspect of weaning is to introduce a wide variety of healthy foods, flavours and textures early on, and encouraging self-feeding of soft finger foods and family meals undoubtedly encourages good habits from the start. Can I enjoy the best of both feeding methods? Whilst many families thrive on self-feeding, others find that offering a mix of both works best for their baby. The reality is, you don’t have to commit to one method, and my new book shows you how to incorporate baby-led weaning into the family routine, whether you adopt self-feeding exclusively or combine with spoon-feeding. It’s the ideal companion to my New Complete Baby & Toddler Meal Planner which is filled with Annabel’s failsafe purees. What kind of baby-led weaning recipes will I find inside? Wit h shared family mealtimes forming an important aspect of baby-led weaning, Annabel’s new book is packed with simple, easy-to-follow recipes for the whole family covering breakfast, vegetable dishes, poultry, fish, meat, snacks and more. 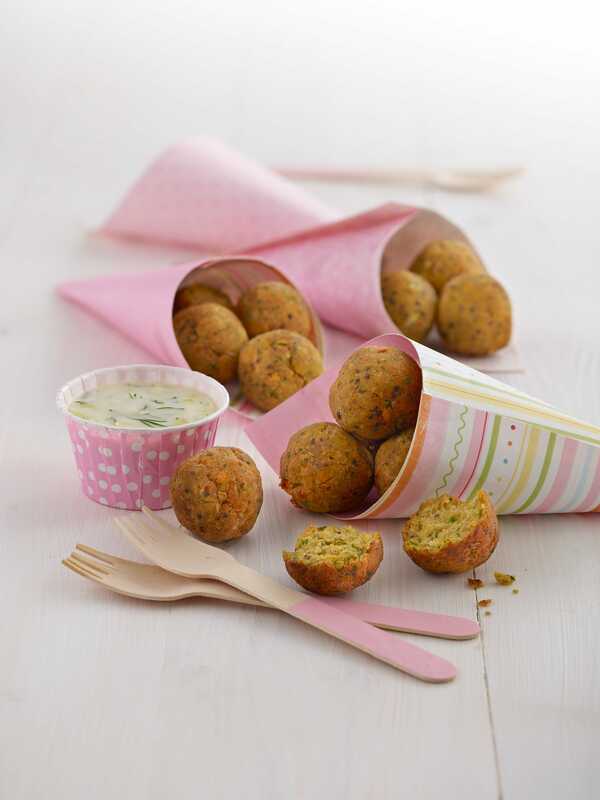 Using everyday mealtime ingredients, the whole family can explore a world of food with recipes such as Sweetcorn Fritters, Chicken with Tomatoes and Orzo, Salmon, Quinoa and Spinach Balls and Carrot, Coconut and Raisin Bites. Sarah Almond Bushell, Registered Dietitian and Consultant Nutritionist.